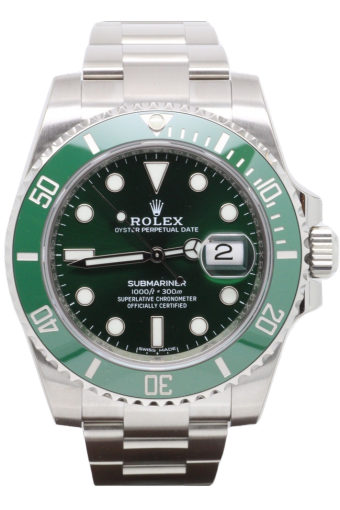 This stunning pre owned Rolex Submariner 116610 lv is the classic divers watch complete with a date function. The 40mm watch case is a steel with ceramic inset rotating bezel.The oyster bracelet is steel whilst the dial is classic Rolex green to match the bezel inset. The Cheshire Watch Company are supplying this UK 2019 watch complete with all boxes and paperwork.